Packer One Full Mattress Cover. Excellent Way To Keep Your Mattress & Other Large Items Clean. Bag Is Sealed On Three Sides. Place Your Mattress Box Spring Or Large Item In The Bag & Seal With Tape On One End. Bags Are 1.5 Mil Which Is Perfect Protection For All Your Moving & Storage Needs. Size - 54 x 10 x 86 in. Dimension - 11.5 x 8.5 x 0.75 in. Item Weight - 0.57 lbs. Packer One Twin Mattress Cover. Bag Is Sealed On Three Sides Place Your Mattress. Box Spring Or Large Item In The Bag & Seal With Tape On One End Bags Are 1.5 Mil. Which Is Perfect Protection For All Your Moving & Storage. Size - 40 x 10 x 86 in. Dimension - 11 x 8 x 0.5 in. Packer One King Mattress Cover. Size - 76 x 10 x 90 in. Moisture & Mildew Resistant Glue For Added Durability & High Humidity. Size - 24 x 18 x 18 in. Dimension - 42.25 x 36.5 x 0.33 in. Item Weight - 2.4 lbs. 3 Sizes In 1 - 10 x 10 x 10 in. 10 x 10 x 8 in. & 10 x 10 x 6 in. Meets USPS UPS FedEx & DHL Standards. Dimension - 20.5 x 20.25 x 0.4 in. Item Weight - 0.76 lbs. Size - 18 x 18 x 16 in. Dimension - 36.5 x 34.5 x 0.33 in. Item Weight - 2.03 lbs. 4 Sizes In 1 - 14 x 14 x 14 in. 14 x 14 x 12 in. 14 x 14 x 10 in. & 14 x 14 x 8 in. Dimension - 28.5 x 28.25 x 0.4 in. Item Weight - 1.44 lbs. 5 Sizes In 1 - 16 x 16 x 16 in. 16 x 16 x 14 in. 16 x 16 x 12 in. 16 x 16 x 10 in. & 16 x 16 x 8 in. Dimension - 32.5 x 32.25 x 0.4 in. 3 Sizes In 1 8 x 8 x 8 in. 8 x 8 x 6 in. & 8 x 8 x 4 in. Dimension - 16.5 x 16.5 x 0.4 in. 4 Sizes In One Also 12 x 12 x 10 in. 12 x 12 x 8 in. & 12 x 12 x 6 in. Dimension - 24.5 x 24.25 x 0.4 in. 3 Sizes In 1 - 24 x 16 x 12 in. 24 x 16 x 10 in. & 24 x 16 x 8 in. Dimension - 40.5 x 29 x 0.4 in. Keeps Sofa Or Other Large Items Clean. Protects Sofas Up To 116 in. Bags Are 1.5 Mil. Which Is Perfect Protection For All Your Moving & Storage Needs. Size - 46 x 134 in. Item Weight - 0.43 lbs. Perfect Protection For Smaller Fragile Items. Perforated Every 12 in. Medium 5/16 in. Roll. Size - 12 in x 30 ft.
Dimension - 12 x 11 x 11 in. Small 3/16 in. Roll Perfect Protection For Smaller Fragile Items. Size - 16 in. x 9 ft. Perfect For Smaller Fragile Items. Perforated Every 12 in. 3/16 in. Roll. Size - 12 in. x 60 ft. Size - 61 x 10 x 90 in. Item Weight - 0.66 lbs. Size - 46 x 76 in. Dimension - 11 x 8.5 x 0.75 in. Size - 16 x 12.5 x 12.5 in. Dimension - 28.75 x 25.5 x 0.33 in. 5 Each Small 1.5 CUFT Boxes 4 Each Medium 3.0 CUFT Boxes 2 Each Large 4.5 CUFT Boxes 1 Tall 3.3 CUFT Box 2 Rolls Of 2 inch X 55 YD Clear Tape 16 inch x 9 Feet Of Bubble Pack 1 Marker. 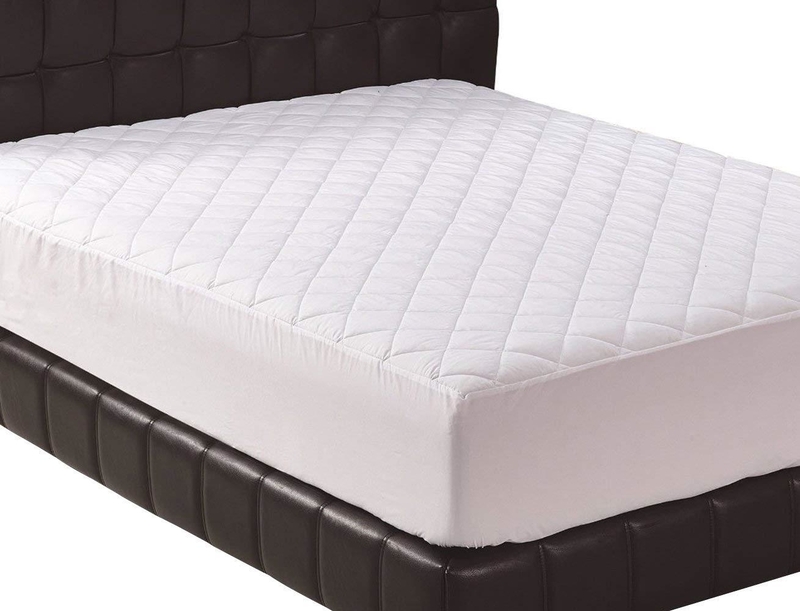 This mattress cover is made from high quality vinyl. It has a rust proof zipper. This cover is very easy to clean just wipe. Also this mattress cover is waterproof perfect for children. The cover protects against allergens and bugs. Size - 16 in. x 7 ft.
Dimension - 16 x 3 x 3 in. Dimension - 19 x 16 x 4 in. Size - 7.25 x 11 in. Dimension - 14 x 8.5 x 2 in.